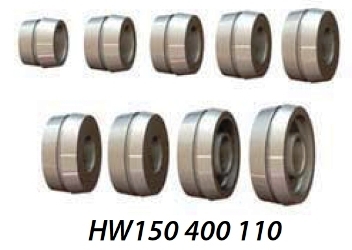 Greatly increases wheel balancing accuracy by increasing the accuracy of the wheel mounting. Also allows the mounting of most CLAD WHEELS (plastic faced). See below regarding Clad Wheels. This item is for 36mm balancer shaft. Kits are available for other diameter shafts. Please confirm your balancer shaft size before ordering. 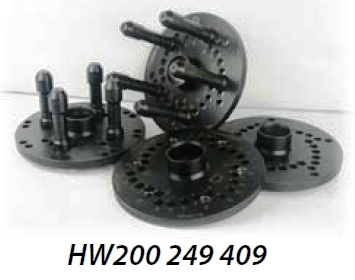 Four FLANGE PLATES for most 4, 5, 6, and 8 lug wheels. 9 Piece Low-Taper COLLET SET (52.5mm - 122mm, 2" - 4.8"). The Low-Taper Collets are superior to standard cones because they have more contact area and engage the wheel at a better angle; they are also necessary for Clad Wheels because they are shorter and only contact the metal part of the wheel. They can be used for "standard" wheels as a replacement for the cones. The Flange Plates provide superior Lug-Centric mounting and allow mounting custom, expensive, and clad wheels with no contact on the face of the wheel. WHAT IS NEEDED TO BALANCE THE NEW CLAD WHEELS? COLLETS instead of cones for the inside center hole. Standard cones will often contact the plastic part inside the hole. 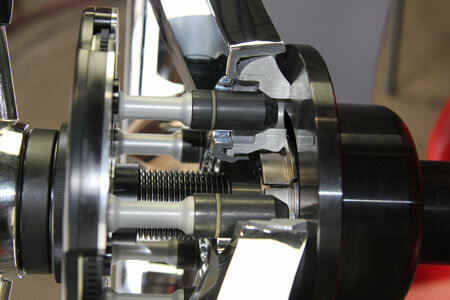 A LUG-CENTRIC PRESSURE DEVICE for centering and clamping the front of the wheel without contacting the "face". A WHEEL BALANCER WITH A LONG ENOUGH SHAFT. The standard shaft on some older wheel balancers may not be long enough to accomodate this mounting system. It varies, but a good rule-of-thumb is if the threaded part of the shaft extends to about 8" from the balancer hub-plate.